Checkout the video below of perhaps one of the easiest firehouse fundraisers to orchestrate. Much respect to the Longview Firefighers as they raise money for the Leukemia & Lymphoma Society by climbing in full combat gear. What a workout! In the realm of fundraising, sometimes it’s far too easy to become bogged down with the notion of establishing large fundraising events and organizing massive campaigns that the most profitable – and easiest – fundraising methods simply pass under your radar. If you’re searching for a fun and easy way to raise money for your firehouse, then you should consider adding fundraiser buttons to your list of activities. While you won’t get rich from this fundraising event, this is an excellent choice for those who need an easy way to raise awareness and money for their cause. Because of the ease of this fundraiser, many people turn to fundraising buttons when they need to quickly establish some form of fundraiser with little overhead and maximum benefit. Although there are many ways you can operate this type of fundraiser, the following information is designed to help those truly need a fast and fun way to engage supporters, raise awareness, and most importantly, raise some cash for your cause. ● Plastic Pin Buttons – These buttons are perhaps the most commonly used in fundraisers as they’re cost effective and easy to distribute. A plastic pin button is basically a covered metal disc with a sheet of paper wrapped around it. On the paper can be any image or short phrase. Due to the cost and fun of these buttons, they’re easy to produce and even easier to sell. ● Enamel Buttons – An enamel button is one that’s a little more “dignified” in terms of its quality and appearance. These are often smaller than the plastic pin buttons and are designed to showcase a particular color or symbol. These buttons are created to be worn throughout the daily life of a supporter. Therefore, it’s generally stylish, sophisticated, and ultimately, more expensive. ● Standard Fundraiser – This is perhaps the easiest method of raising money through buttons. Simply purchase a large amount of buttons from a company dedicated to providing materials for fundraisers and/or charities. You can even invest in a button-making machine and make the buttons yourself. Basically, you’ll sell these buttons to your supporters at events and various happenings within your community. This is an excellent addition to other fundraising events. For example, if your community is holding a festival, place a little table alongside a heavily walked area and watch the buttons sell faster than hot cakes. ● An Add-On – Say your Firehouse is featuring a different type of fundraiser, for example, a pizza night. With every purchase, include a button. To help curve the cost, increase the price of the other fundraising items by a small amount. This not only covers your cost of manufacturing the buttons, but also gives an extra incentive for supporters to purchase the main fundraising product. Pizza is among the most popular foods in the United States, and even more popular in schools, churches and in youth organizations. Therefore, if you’re looking to establish a successful fundraising campaign, then you should consider a pizza fundraiser. Not only is this an excellent opportunity to increase awareness and funds for your cause, but it’s an enjoyable event people of all ages will enjoy. While there are many different ways to establish a pizza fundraiser, the following are considered the most successful options. This type of fundraiser is perhaps one of the most commonly used methods because of its ease and effectiveness. In the most general sense, your school, church or organization sells special pizza cards to supporters. Each pizza card is a “coupon” for a local pizza business. Of course, this requires you to network with local pizza companies, but generally these businesses (especially locally owned restaurants) are more than happy to create a special coupon card as it showcases their willingness to help out a good cause as well as bringing in both old and new customers. There’s something delicious and special about making your own pizza. This type of fundraiser calls upon this fun culinary activity by selling ready-to-prepare homemade pizza kits. These kits are found at stores or sold by fundraising companies. You can even create your own homemade pizza kit by purchasing individual ingredients at a wholesale warehouse. Basically, your group sells the homemade kits to supporters. This is an excellent add-on fundraiser for larger events, such as school or county festivals/fairs. If you’re searching for a fun and interesting way to hold a pizza fundraiser while simultaneously helping your local firehouse, you should consider holding a pizza fundraiser event at the firehouse. The majority of local firehouses enjoy holding fundraiser events as it not only showcases their willingness to sponsor their community, but it also provides a great deal of funds for the firehouse. 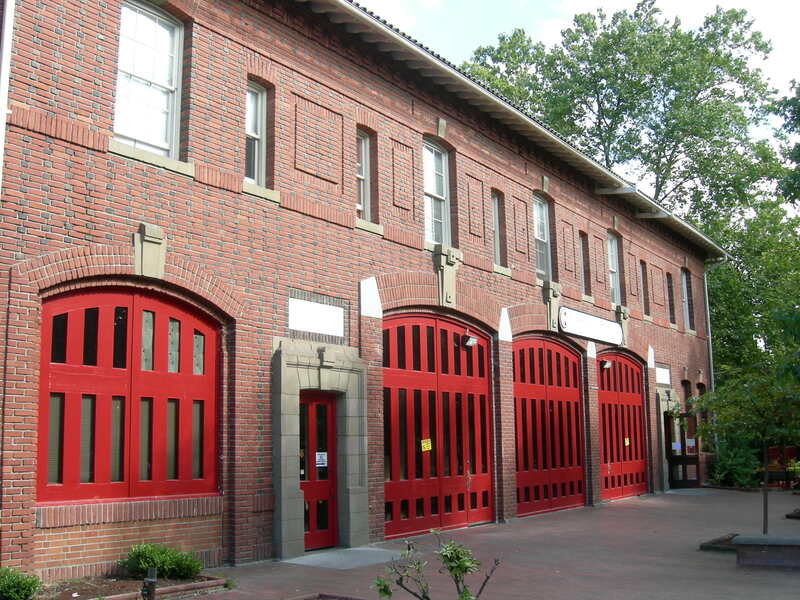 Community members will love getting a tour of the firehouse, meeting local fireman, and enjoying pizza! As the old fundraising saying goes, “Where there’s people, sell them something” if there is a larger event or festival, consider selling pizza-by-the-slice. This works especially well at all-day festivals, as some people only need a slice of pizza to curve their hunger. Consider opening up a pizza booth and selling only pizza slices in three varieties, such as cheese-only, pepperoni and veggie pizza. Talk with your local pizza restaurants and see if they would be willing to donate pizza or offer slices at a discounted rate. You can find this idea and other big fundraising ideas from this site. Throughout the world, bingo is one of the most popular activities. This easy to operate and highly sociable games is used as a fundraiser opportunity at churches, schools and practically every other organization, and is perfect for a firehouse fundraiser! The following information is a brief overview of how to hold a successful and fun bingo night fundraiser, which hopefully raises funds and awareness for your local firehouse. In the most fundamental sense, bingo is simply a person calling out a randomly selected series of number, which are typically derived from a small balls pulled out of a rotating bingo machine – much like lottery numbers. Players feature small cards with a random series of numbers. When the operator of the bingo machine calls off a number featured on the players card, the player marks the number on their card off. The first person to mark off all numbers within their card calls out “Bingo!” and wins the game. Of course, there are many different variations of this game, but the aforementioned is the traditional way to play. The first step in organizing a bingo night is determining where the event should be held. This solely depends on the number of people you think will want to attend the game. Typically, your firehouse would be the ideal place to hold such an event. However, it is possible to have hundreds of participants, which require large event spaces, such as a community center. Once you’ve secured a venue, you should determine the type of refreshments to be provided. Typically, a bingo hall features drinks and light snacks; however, the possibilities are practically limitless. Consider inviting people to bring a dish to be shared – potluck bingo night. As a way to encourage people to provide food, you could provide a free bingo card for those who bring a dish. After you’ve determined the type of refreshment and foods to be provided you should begin collecting supplies. The first step in establishing a successful bingo night is to find bingo cards. There are many online resources (such as Fundraising Bridge) which allow you to print off bingo cards at home for free; however, you will be responsible for providing the paper and ink. There are also many charity supply companies which specialize in bingo cards. Consider purchasing bingo cards with your school or organization name. This adds a nice touch to an already enjoyable nigh. Next, you must locate a bingo machine to provide the numbers. Many event companies offer rental bingo machines, which are substantially cheaper than purchasing your own. If you know of a church, school or other organization who owns a bingo machine, contact them to determine whether or not they’ll lend you the machine. 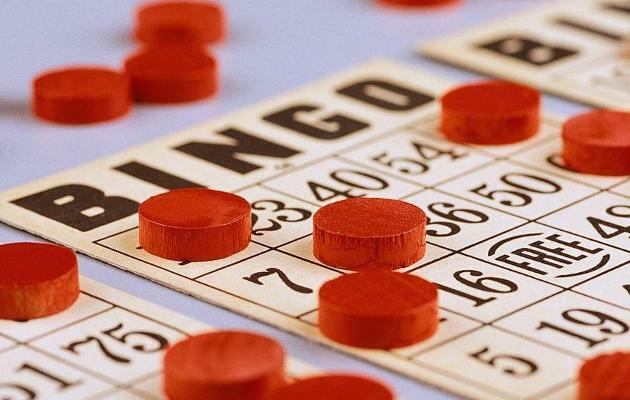 3 to 4 individual bingo games, which typically lasts around one hour. Final 3 games, which can last anywhere from 45 minutes to one hour. You make money at a bingo fundraiser by charging for each bingo card. The amount you charge can dramatically vary, from a few dollars per game to a “high rollers” bingo night, which may feature up to $20 per game. If you choose to do a high rollers game, you should have a substantial prize for winners. Consider contacting local businesses to donate prizes for bingo winners, which is an excellent way to attract crowds without having to spend firehouse money on prizes. A candle fundraiser is one of the most popular and profitable methods, and what could be more appropriate to raise money for a firehouse? If you’re searching for fundraising ideas here and how to gain awareness for your organization, then you’ll want to consider a candle fundraising event. This form of fundraising offers a wide array of possibilities when it comes to the type of candles used and the potential for great profit. While this can be a very successful venture, there are several tips you should follow to ensure your success. Finding an Candle Company – You may be surprised at the number of candle companies specializing in candles for fundraisers. While you may feel pressured to go with the first company you locate, don’t be surprised some of the more well-known candle companies are more than willing to offer special discounts for fundraising events. Gather a list of candle companies and contact each one describing your needs. Receive Brochures and Order Forms – After you’ve made a decision, the candle company will send you brochures of their specialty items along with order forms. Some companies perform this process virtually by giving out business cards to a special website, which is dedicated to selling candles for your fundraiser. 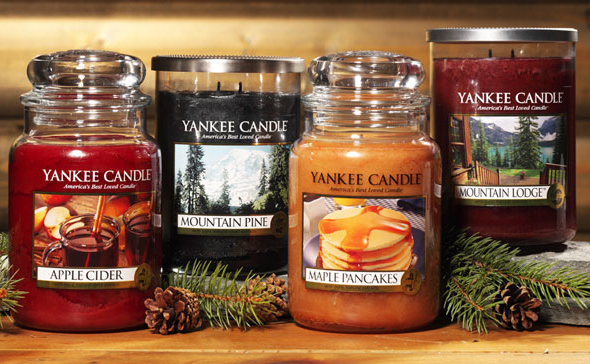 Regardless, you should never have to pay upfront for candles or order forms. Distribute Brochures or Domain – Much like other forms of fundraising that deal with selling physical products, the fundraiser operates for a set duration (typically one month). Throughout this time, supporters and volunteers distribute order forms to potential buyers. At a set date, the order forms are collected with the appropriate funds and then sent off to the company. Receive the Candles – After you’ve sent off the order forms, the candle company will then send all candles to your organization’s primary address. Each order will be appropriately packaged; however, they will likely not be sent directly to your supporters. Deliver Candles to Your Supporters – The candles may be delivered to your supporters in several different ways. The most common is having the candles placed in the administrative office of your firehouse and have each customer come and pick up their candles. Another option is mailing the candles to each customer. While this may be the easiest way to deliver the product, it can be expensive.